Sea Shore Sundays: 10am Park at Big Beach Frog Lot. 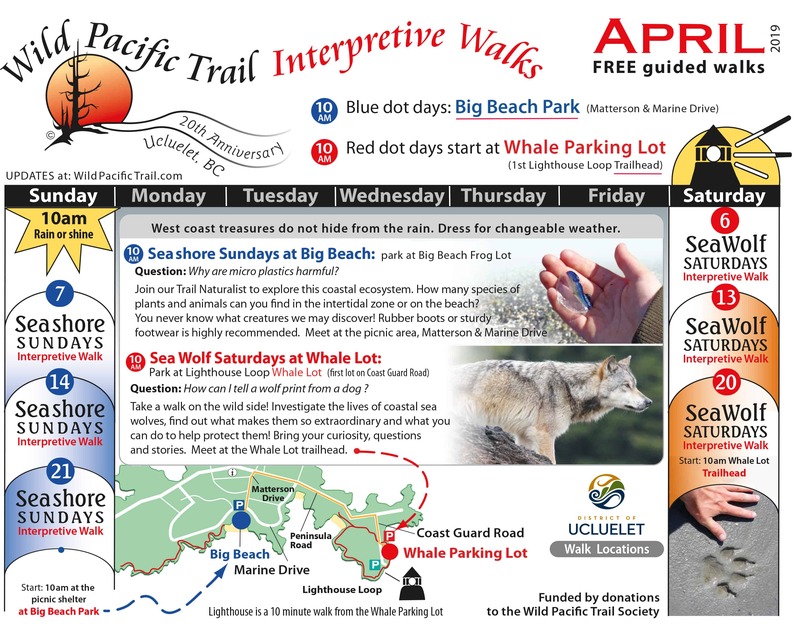 Meet at Big Beach picnic area, Matterson and Marine Drive. Let’s explore the seashore! How many species of plants and animals can you think of that live in the ocean or on the beach? You never know what creatures we may find! Rubber boots or sturdy footwear is highly recommended. West coast treasures do not hide from the rain. Dress for changeable weather.